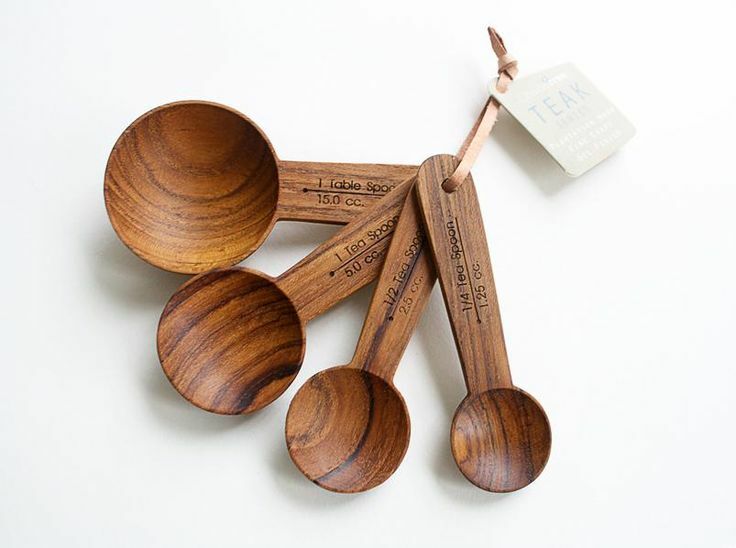 These gorgeous wood measuring spoons made from plantation farmed wood are a must-have for your daily baking needs. The uniquely designed spoon come in sets of four, with 1 table spoon (15.0 cc. ), 1 tea spoon (5.0 cc. ), 1/2 tea spoon (2.5cc. ), and 1/4 tea spoon (1.25cc.). No chemical finishes, wash with warm soapy water, but never leave to soak. Not dishwasher safe. 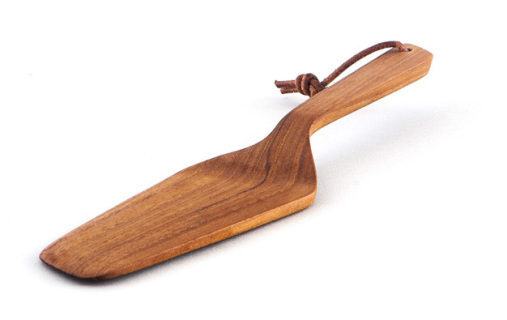 Made from plantation farmed wood and hand-crafted, this flat turner is a great companion for your cooking or frying. Crafted and left in its natural state with no chemical treatment done. 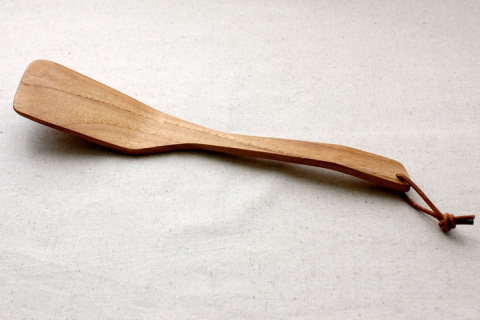 Made from plantation farmed wood and hand-crafted, this hole turner is a great companion for your cooking or frying with the holes allowing oil to drain off. Crafted and left in its natural state with no chemical treatment done. 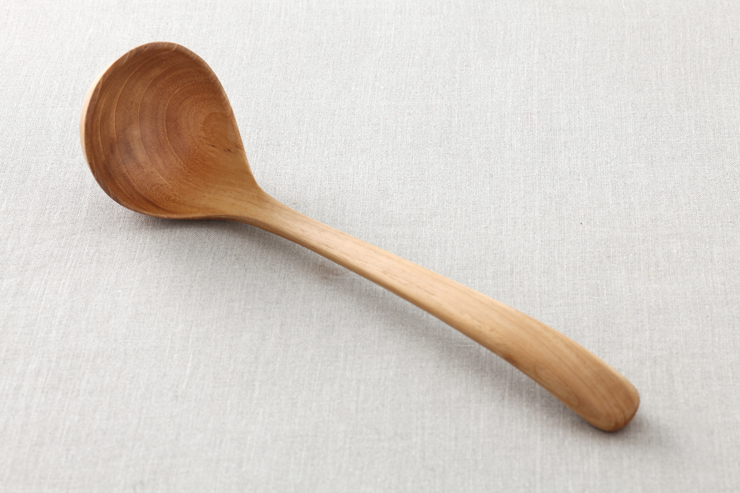 The Teak soup Ladle is hand-crafted using wood from managed forests and left in its natural state. Wash with warm, soapy water and give it a good food-safe oil rub from time to time to restore the richness of the wood. Now, get planning that next soup party, and prepare to wow! 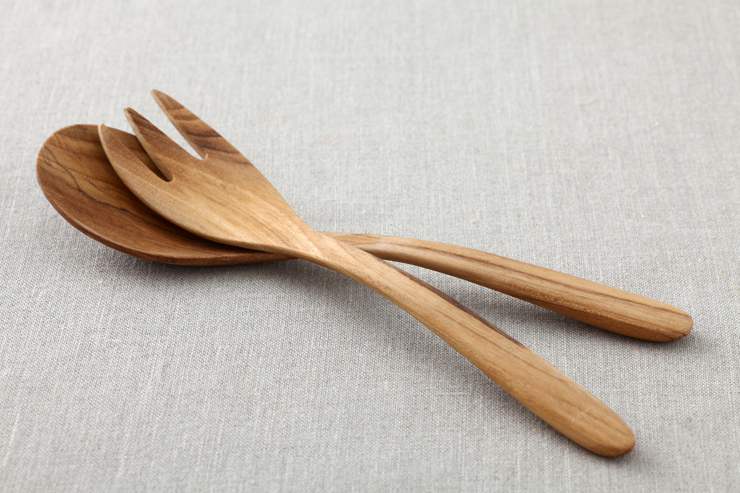 Beautifully hand-crafted from plantation wood, this set of salad fork + spoon will never be out of place on your dining table. Finished in its natural state, all it needs is just a coat of food grade oil rub to keep the wood looking gorgeous. Wash in soapy water and do not soak.